I bought my husband and his brother each one for their branch of service, and they loved them. Very well made. 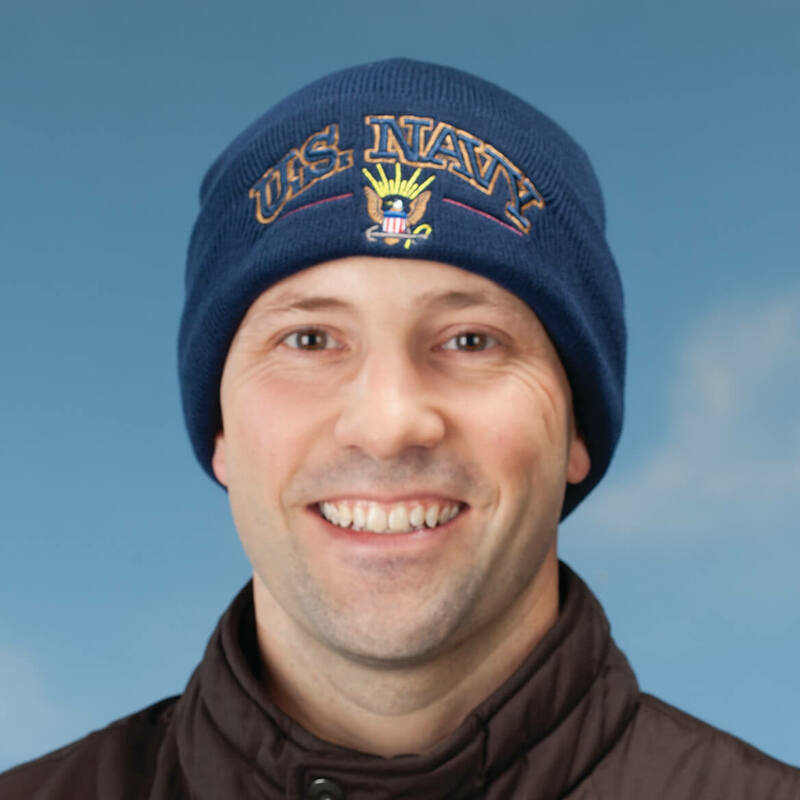 Wow what a great choice I made in ordering these Navy Knit Caps. First reason I purchased them was because we are a Navy family. Right now it was the best choice I made because we are in freezing temperatures and they are a blessing to wear outside since they are so warm, Forgot to mention I purchased 2 of them one for my hubby and one for me. given to my retired navy husband. He was very pleased and wears it all the time. Purchased this for a gift. Do not know how it will hold up to the weather, washing, etc. To honor my late Daddy. Once a Marine, always a Marine. His grand-daughter will wear it with pride ! my husband is retired Navy. My hero is retired Army officer. 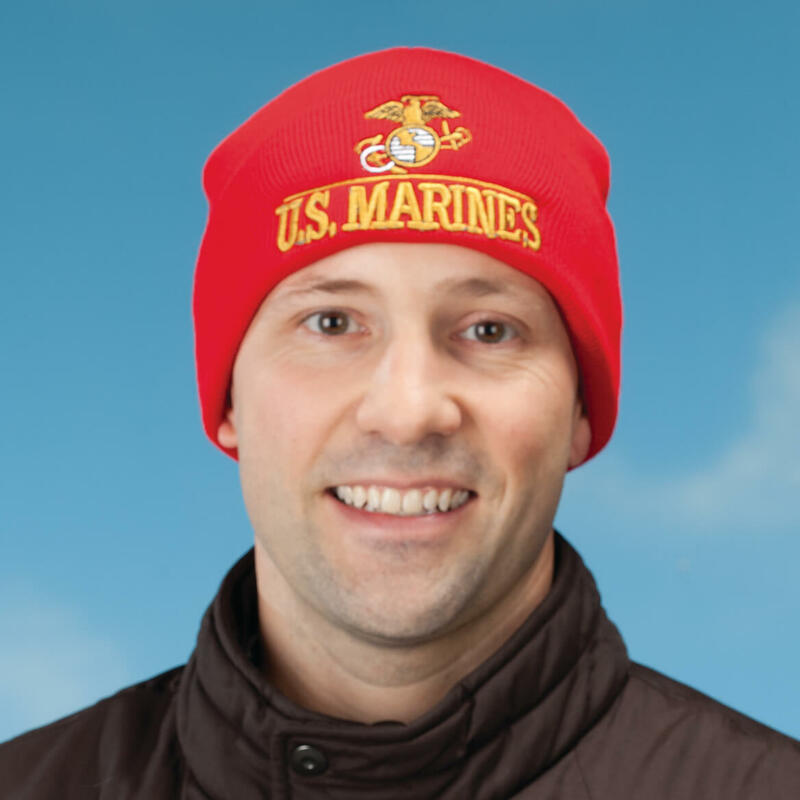 Living in snowy Northeastern Pennsylvania, these hats will keep my husband's head nice and warm when he is shoveling snow, plus the hats proudly display that he served our country. This will make him especially happy. P.S. Maybe this winter will be snow-free! For my son, his son is going into Marines. For my great nephew, who has an Uncle in the Marines. He is into anything that is for what James has. The recipient is proud to have served USA, and so am I. 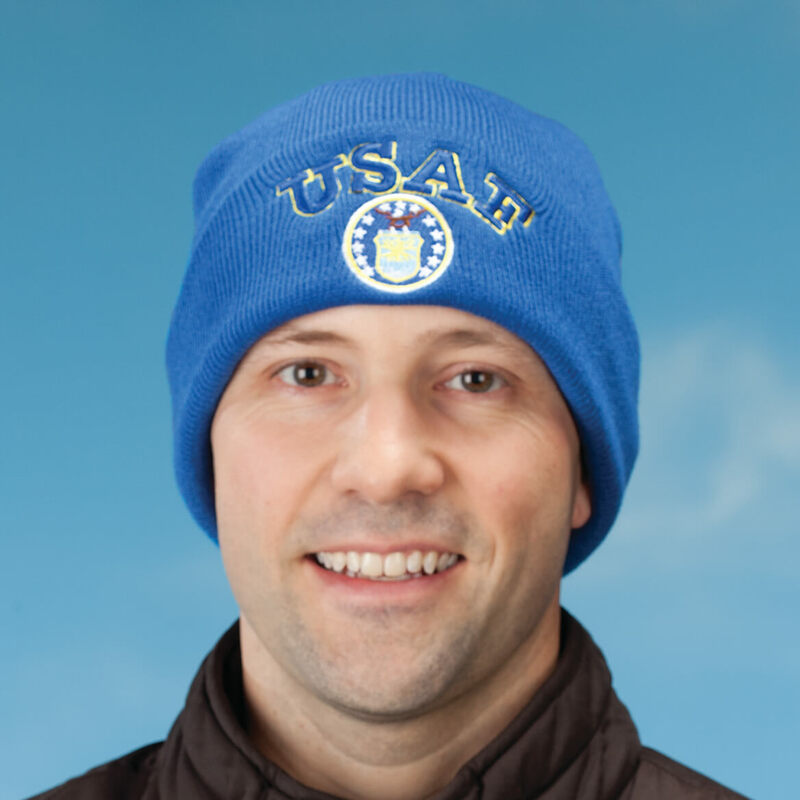 He will love wearing the hat this winter. I wish you offered the hat for Home Land Security personnel also. I'd buy at least 2 dozen! For my sons to honor their Dad that served in the Air Force. For my husband, an Army veteran. I picked Navy because my husband is a Navy veteran. Served during the Vietnam War. My father served in the US Navy for 4 years. I want to give my brother one & keep one for me to think of Dad when we see it in our homes or wear them. 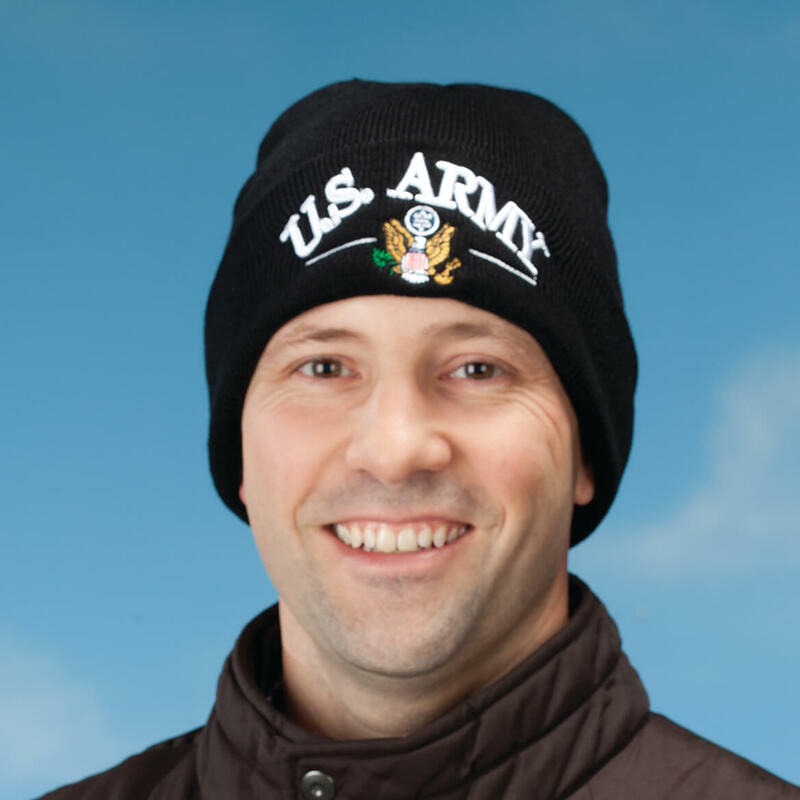 I chose these military knit hats to honor our Veterans at our Church. The prices were very reasonable. Husband was in the Marine Corps. Are these caps officially licensed? BEST ANSWER: I have no idea...the manufacturer should know...I would doubt it - but I really have no idea. There is no indication anywhere on the item that it is. No. They are not military issue. Why isn't Coast Guard available? BEST ANSWER: Thank you for your question. 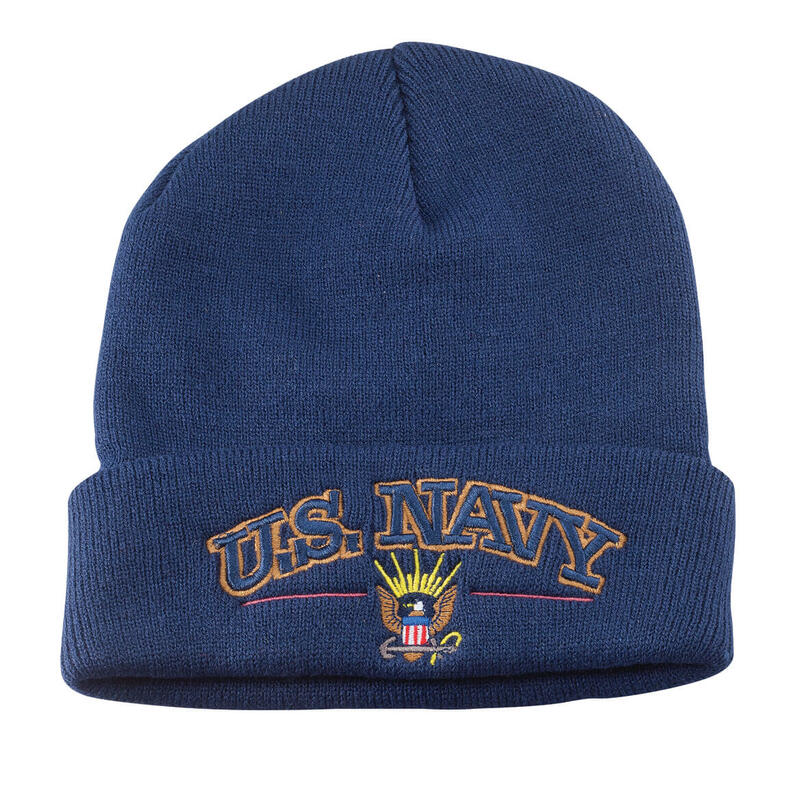 We do not make the caps, we sell them, and the Coast Guard is not offered from the manufacturer. We hope this information will be of help to you.